The Royal Bank of Scotland plc (RBS) and its Japanese entity RBS Securities Japan Limited have been ordered by the US Commodity Futures Trading Commission (CFTC) to pay a total of $325 million as a penalty to settle charges brought against the companies for manipulation, attempted manipulation and false reporting of Swiss Franc LIBOR. Industry wide, the CFTC has successfully penalized a series of banks for manipulative conduct with respect to LIBOR and other benchmark interest rates, amounting to a total of $1.2 billion in fines imposed for misconduct. The Order requires Royal Bank of Scotland to pay a $325 million civil monetary penalty, cease and desist from further violations as charged, and take specified steps to ensure the integrity and reliability of LIBOR and other benchmark interest rate submissions, including improving related internal controls. The CFTC has specific ruling on adherence to these orders and how banks must conduct themselves with regard to LIBOR submissions and other benchmark interest rates. Banks that have been issued such an order by the CFTC are required to comply with undertakings specifying the factors upon which submissions should be made, including making the determination of submissions transactions focused, and requiring implementation of internal controls and policies needed to ensure the integrity and reliability of submissions. With the undertakings, each bank represents that its benchmark interest rate submissions “shall be based on a rigorous and honest assessment of information, and shall not be influenced by internal or external conflicts of interest, or other factors or information extraneous to any rules applicable to the setting of a benchmark interest rate,” according to the Order. The Order further finds that RBS’s traders were able to carry out their many attempts to manipulate Yen and Swiss Franc LIBOR for years because RBS lacked internal controls, procedures and policies concerning its LIBOR submission processes, and failed to adequately supervise its trading desks and traders. RBS did not institute any meaningful controls, procedures or policies concerning LIBOR submissions until on or about June 2011. During this time, RBS was experiencing significant growth on its Yen and Swiss Franc trading desks, generating revenues for RBS that were multiplying over the years. 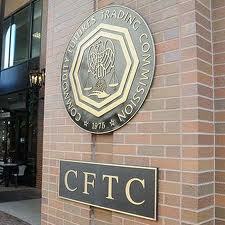 The CFTC Order also recognizes the cooperation of RBS with the Division of Enforcement in its investigation.